iPhone iPad iPod Blue LED Visible USB Power Charging cable and Data Sync Cable. It visualizes the charging current and shows the cable blue out. It is our LED Visible Blue USB Charging Cable for iPhone iPad iPod. The cable automatically helps in safe and quick charging of your Apple devices. 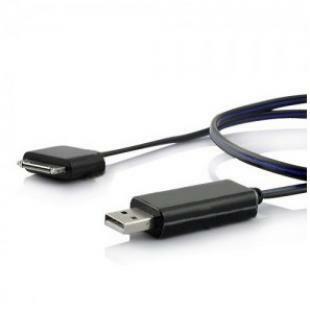 Utilizing low power consumption EL technology, the cable saves standby power when not in use or fully charged. 1. 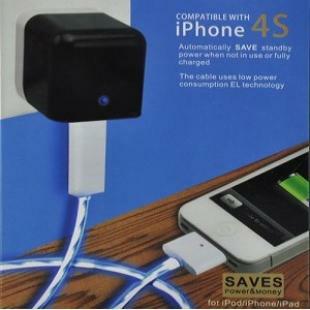 Plug the adapter (not included) into wall power socket and connect your iPhone iPod iPad via our USB charge & sync cable. 2. Connect your device to Mac/PC with this cable for charging and syncing. Friendly Reminder: Be aware not to squeeze the cable because there is LED inside. Cable Only, Others Not Included. 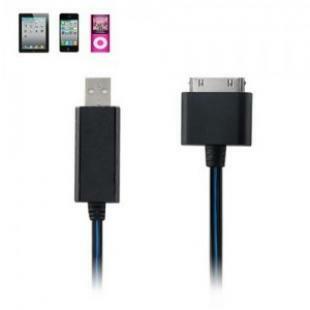 Find, Read Reviews & Buy cheap LED Blue Light USB Power Charge & Data Sync Cable for iPhone iPad iPod - Black products at wholesale price from leading chinese supplier, enjoy online LED Blue Light USB Power Charge & Data Sync Cable for iPhone iPad iPod - Black for sale and become wholesaler now!